Do you have a case of the Mondays? I think the cure is a nice well-balanced cocktail. The White Lady is a classic and I’ve been wanting to make it for a while now. However, until I found a video of Rachel Maddow making it on Late Night with Jimmy Fallon, I didn’t realize I already had all the ingredients to make the cocktail at home. I finally made it yesterday afternoon and it almost made me forget the fact that Monday was right around the corner. Almost. Add all the ingredients to your cocktail shaker. Dry shake the mixture first (this really gets the egg white nice and frothy), then add ice and shake it again. Strain into a coupe or cocktail glass and enjoy. Those of you who follow me on instagram might have seen this on my feed yesterday, but I still wanted to share this really quickly on the blahg. Over the weekend, One Kings Lane was kind enough to send over a bar cart as well as a ton of bar tools and accessories! We’ll talk about the details of every little tool later but for now, I just wanted to brag and marvel at the beautiful sight. 1. How about a video? Sara and I made this a while ago but I never threw it on the blog. It’s a shame though because it’s truly one of my favorite cocktails of all time – The Boulevardier. 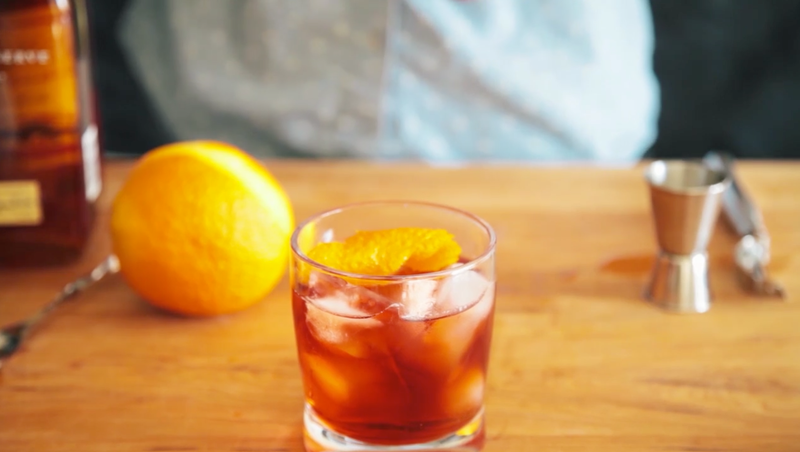 The Boulevardier is a simple classic that has been coming back to popularity with a vengeance. To learn about the history of the cocktail, the NY Times posted a great article about it. I make it at home, I make it at work, and when I go to my favorite bar, the bartender already knows it’s going to be my nightcap. It’s simple, smooth, captivating, seductive – it’s basically like drinking lingerie but you know, actually feasible. 2. Whiskeysoaked turned three over the weekend! Whiskeysoaked, I know I haven’t been there as much I should but I’m going to make it up to you. Happy birthday, you’re going to turn into a fine, fine blog. We’re also inching towards 300 followers. Usually, I’d be suspicious over 300 people following a three-year-old but under these circumstances, I’ll turn a blind eye. P.S. One thing to note is that I was a doofus and expressed the oils from the wrong side of the peel. I now know better. 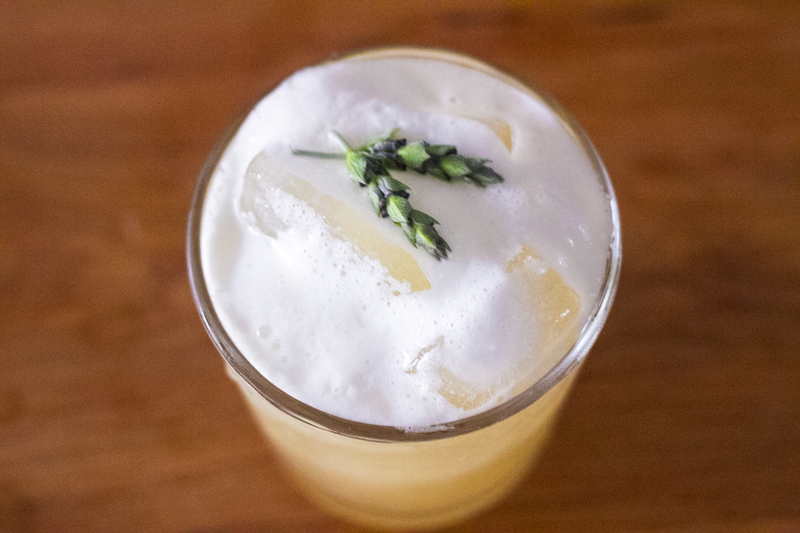 Hey everyone, this is a quickie that those of you who enjoy the Lavender Whiskey Sour will enjoy. I’m actually on my lunch break from work so excuse the typos! The Whiskey Sour is my favorite cocktail. 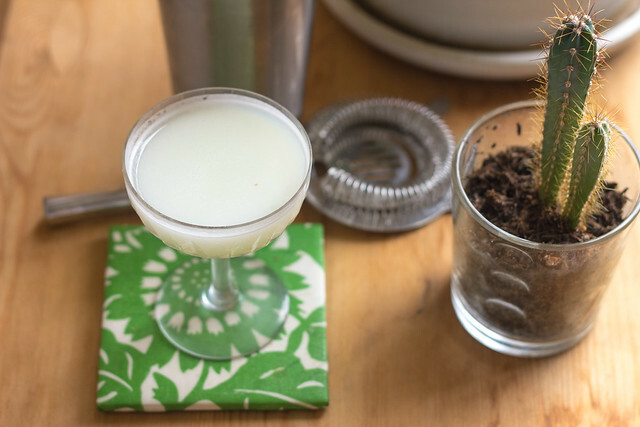 Not only is it great in its own right but if you’re just beginning to make your own drinks, it’s a great way to start your journey through cocktails. With some leftover mint and plums, I made this cocktail last night for my roommate after she had a hard day at work. Not going to brag but she did ask for seconds, just sayin’. (I’ll save my Best Roommate Award speech for another time). Want the recipe? You got it. In your cocktail shaker, throw in your mint leaves and your plum slices and lightly muddle. Once that’s all done, add all the rest of the ingredients in your shaker, fill with ice and give it a nice good shake. Next, grab your glass (if you have a rocks glass, fill it with ice), and strain the mixture into it (if you have a fine strainer, I’d recommend using that in addition to your usual hawthorne). Add the plum for garnish and enjoy! Last but not least, I’m sure I can speak for both myself and Sara when we say thank you for all the great responses to our cocktail videos! Since The Sidecar launched, this blog has gotten over 200 followers and we have some great things in store. We already shot some great ones for Valentine’s Day and I can’t wait to get them out to you! *Coupe glasses courtesy of One Kings Lane – thanks! It’s 2014, let’s start off the new year with a staple that everyone should know – the Sidecar. 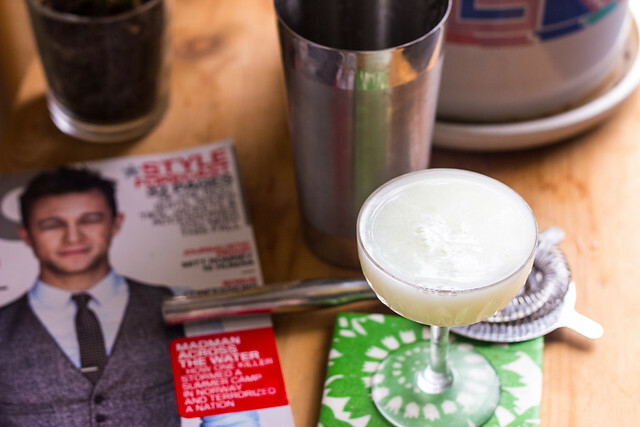 The Sidecar is a classic cocktail with a fuzzy history. Personally, I had my first Sidecar in a hipster smoke-friendly dive bar when I was 21. I made a lot of mistakes that year but drinking this cocktail was not one of them. Check out the video below or head to Design*Sponge and look at our feature! How exciting! As for the blog, I’m super excited for 2014! I’ve got some cool photos, interviews, reviews and (of course) videos for you by Sara Washington and myself. Watch out. I’m really excited to let you all know that I paired up with Sara Washinton, a really talented film maker (and fellow Stocktonian) for a new video cocktail series that we’re lovingly calling On The Rocks. It’s our first time doing how-to videos and we’re still working out some details (and by “we,” I’m mostly talking about myself here) but we hope you’ll enjoy them as we roll them out. 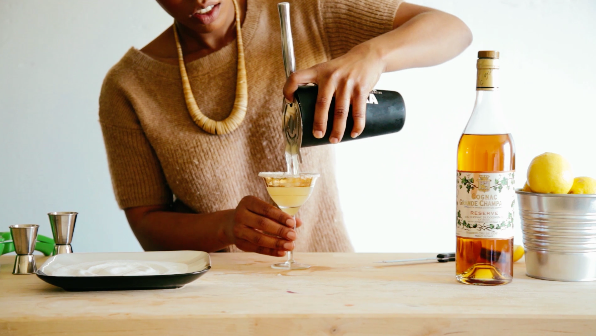 And without further ado, here is our first video featuring myself and more importantly, the Lavender Whiskey Sour (with egg white!). Make one yourself and let us know what you think. There are many watershed moments in one’s lifetime. The first steps, first words, first day of school, first love, etc etc. But when you’re a master drinker like myself, there’s only one moment that can outshine them all: winning your first drink-off. Over the weekend, I participated in a drink-off at the home of a co-worker. Against the advice of mutual friends, my opponent (who will remain anonymous for the sake of his pride and dignity) challenged me over a month ago. Things did not turn out well for him. Can’t say he wasn’t warned. Let me, a recent drinking champion, give you some tips to help you win your own drinking competition and, might I add, look good doing it. DO know your competition – As with every battle, knowing your competition is crucial to making it out alive. There are many questions to ask yourself and others before taking that first shot. Have you drank with that person before? If so, how was it? If not, do you know anyone who has? How was that? Do a Google search. Is that person’s Instagram laced with photos of alcohol (like mine?). Get the skinny and if you find out that your rival has an alcohol blog, a booze column and may also be an intern in the booze industry (just sayin’), you might want to rethink your strategy. I take that back – pull out all together. DON’T have your drink-off at a bar – First off, it’s not very cost effective and secondly, it doesn’t give the loser many options when he’s face down on the floor. The last thing a winner wants to do after a victory is shell out cab money for the weak. DO drink in a safe place –We ended up bringing our own bottles of tequila to a co-worker’s house party and got it popping there. Not only did this save us money, but I also knew he would be around good people when I spit out his demolished liver. DO drink water – Don’t die. DON’T take shots back to back – Nothing is worse than a knockout in the first round and drink-offs are no exception. Pace your drinks/shots with a nice cushion of time between each one. In this case, we took a shot or two every 10-15 minutes. Remember, while taking 10 shots in five minutes may make you look badass at first, it’ll only end up with ending prematurely and no one likes those – under any circumstances. Because you can be the slickest talker around but a photo of your sweaty opponent passed out next to a puke bucket really speaks for itself.